A two-pronged dilemma faces the Central government. Should it exempt industrial units cogenerating power from renewable purchase obligation (RPO)? And, should it leave it to the states to interpret the meaning of renewable energy from its policies on cogeneration? Many industrial units in the cement, steel and other sectors, which use coal or natural gas as primary fuel, have been demanding exemption from RPO. The obligation makes it necessary for such units to meet part of their power needs from renewable sources. Many of these units, which have filed petitions with their respective state electricity regulatory commissions, want that energy produced through the waste heat recovery (WHR) system should be considered valid for meeting the obligation. The WHR system recovers high energy content from exhaust gases. In its Policy for Captive & Co-generation Plants, 1996, the Ministry of Power defines cogeneration facility as a unit which simultaneously produces two or more forms of useful energy, such as electric power and steam. Industrial units use this energy to generate power or in various industrial processes, thus increasing its efficiency and saving costs. WHR should be considered renewable, contend industrial units. The United Nations Framework Convention on Climate Change considers electricity generated through WHR as green, therefore, such projects are eligible for earning carbon credits, they say. However, carbon credits are earned for reducing CO2 emissions, not for generating renewable energy. The industrial units also present Policy for Captive & Co-generation Plants for their argument. It identifies two basic cogeneration cycles—topping cycle and bottoming cycle. Topping cycle is a facility that uses fuel input for power generation and utilises useful heat for other industrial activities. Bottoming cycle facility uses waste industrial heat for power generation by supplementing heat from any fossil fuel. The policy identifies WHR as bottoming cycle cogeneration. 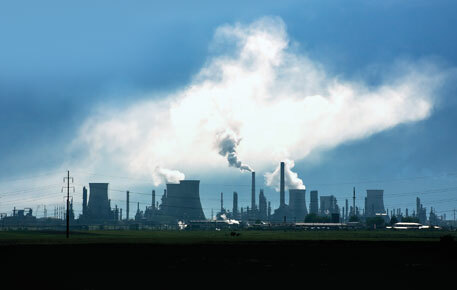 Several court cases have been filed on the subject and industrial units have achieved success in many of them. In Kerala, MPS Steel Castings Private Ltd won a case and is now getting higher tariff for its cogeneration plant. In Maharashtra, a case by Century Rayon led to a change in the state’s regulation. Now all cogeneration-based captive consumers are exempt from procuring electricity from renewable sources. Hi-Tech Carbon at Gummidipoondi, Tamil Nadu, was deemed a cogeneration plant by Tamil Nadu Electricity Regulatory Commission, thereby freeing it from renewable purchase obligation (RPO). The Madhya Pradesh Electricity Regulatory Commission considers cogeneration and renewable sources on a par. Birla Corporation Ltd, Satna, Madhya Pradesh, was also exempted from RPO. The company used waste gases released in rotary kilns to produce electricity. sail joined the bandwagon to argue that its 4.2-MW waste gas power plant should be exempted from RPO. Lloyds Metals & Energy in Chandrapur, Maharashtra, a sponge iron unit, filed a similar petition for its 30-MW waste heat recovery (WHR) plant. Maharashtra Electricity Regulatory Commission declined both the petitions on grounds that the Ministry of New and Renewable Energy does not cover WHR (except from biomass) as part of renewable source of energy. However, the Ministry of New and Renewable Energy (MNRE) accepts cogeneration only as part of biomass utilisation, specifically focused on bagasse-based cogeneration in sugar mills. It does not accept any other form of cogeneration as renewable energy. There is ambiguity in the language of the Electricity Act, says a government renewable energy expert who did not wish to be named. Different results have therefore, been arrived at from different analyses. “Section 86 (1) (e) is open to interpretations. Some can conclude that both cogeneration and renewable energy are to be promoted equally. Others can construe that cogeneration from renewable sources and electricity from renewable sources are to be promoted,” the expert says. Of the 29 states, 27 have imposed RPO on power distribution licensees, captive users and open access consumers. Karnataka, in its RPO regulation, specifically recognises biofuel cogeneration as renewable energy source along with all the other MNRE-recognised sources. However, some states, such as Uttar Pradesh and Tamil Nadu, have added “sources identified as per state policies” as renewable power. This has increased the confusion as different stakeholders have different interpretations for this. Some states do not associate cogeneration with bagasse-based cogeneration alone. The Maharashtra Electricity Regulatory Commission exempts captive users from meeting the RPO target. The Rajasthan Electricity Regulatory Commission classifies waste heat power generation as renewable energy. The Kerala State Electricity Regulatory Commission classifies waste heat power generation under cogeneration. Karthik Ganesan of the Council on Energy, Environment and Water supports the RPO reprieve for WHR compliant units. “The WHR system is expensive. Companies should have an incentive to invest in them and to bring to scale the manufacturing capacity for WHR boilers in the country,” he says. The decision on exempting WHR systems from RPO should be left to the states, he says. Clearly, the Centre needs a policy that can lift the cloud of confusion.